The Bowdoin International Music Festival is one of the world’s premiere music institutes. Founded in 1964, the Festival engages exceptional students and enthusiastic audiences through world-class education and performances. After a highly competitive admissions process, 250 students are invited to attend the Festival and study with distinguished faculty and guest artists. Audiences are invited to memorable performances by these artists and over 175 other free events such as student performances, composer lectures, masterclasses, community concerts, and family events. The Festival is an independent 501(c)(3) non-profit organization. The mission of the Bowdoin International Music Festival is to provide gifted young musicians from around the globe with an opportunity to study with world-class artists and to provide audiences with classical music performed to the highest artistic standards. 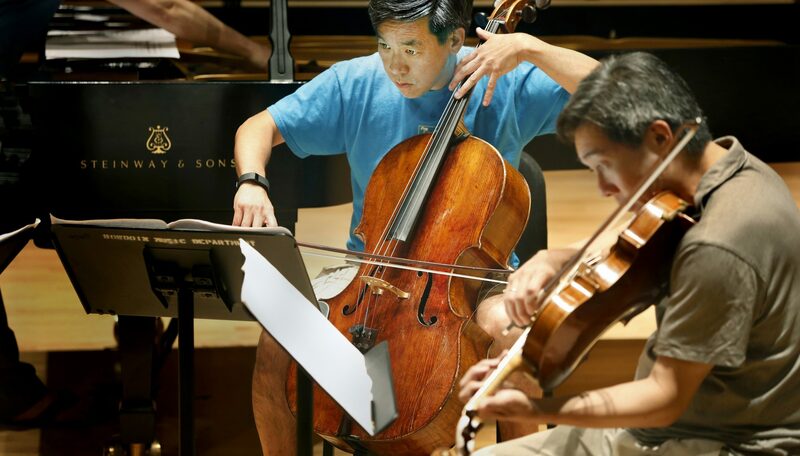 The vision of the Bowdoin International Music Festival is to be the premier summer institute for the study and performance of solo and chamber music. Festival faculty come from leading conservatories including Curtis, Cincinnati Conservatory, Cleveland Institute of Music, Eastman, Indiana, Oberlin, Juilliard, Manhattan School of Music, Mannes, New England Conservatory, Peabody, Rice, Royal College of Music, and University of Southern California, among others. Members of the Board include arts, business, and social leaders from Arizona, Maine, Maryland, New York, and Vermont. The Bowdoin International Music Festival is one of the world’s premiere music institutes, providing an intensive and in-depth exploration of chamber and solo music. From late June to early August audiences totaling over 30,000 fill halls, museums, classrooms, breweries, churches, libraries, care centers, coastal resorts, and baseball fields at more than 200 concerts and events each season. 175 of these events are free to the public. Concerts feature chamber music to concertos with orchestra performed by world-class musicians, exceptional guest artists, Festival students, and ensembles joined by faculty in special guest appearances. Studzinski Hall, a state-of-the-art music performance and practice facility that includes the stunning Kanbar Auditorium. The facility also satisfies students’ expectations for practice space with nine individual practice rooms, a rehearsal room, green room, lobby areas, and a state-of-the-art recording studio. The Festival live streams performances and events to anyone with an internet connection. Local and global audiences can access exceptional performances and events on any internet-connected device at no cost. Benefactors strengthen the Festival’s capacity to present inspiring performances and meaningful education. Their financial partnerships support student scholarships, faculty and guest artist fees, concert production, facility rentals, endowment, and operational facilities.